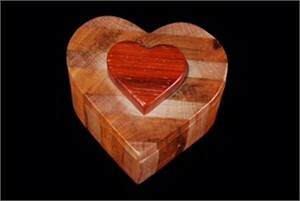 Doug Pisik is a mostly self-taught artist who specializes in wood. He creates sculptures, turnings, abstract wall art, and boxes with complex designs for which he is primarily known. Most of Pisik's work is composed of unique geometric patterns generated out of highly contrasting woods fashioned together with a technique he perfected and calls "Through-Pattern Construction." 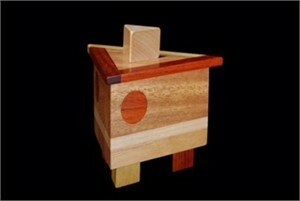 This technique allows the complex patterns to pass from the outside through to the inside of his boxes, ensuring every facet is finely decorated. Pisik primarily avoids dyes and stains, instead continuously searching for woods with naturally contrasting colors and tones to accent his work. Some of his pieces are constructed with over a dozen species of woods and are composed of over a thousand pieces, which appear to be seamlessly joined together into a solid composition. 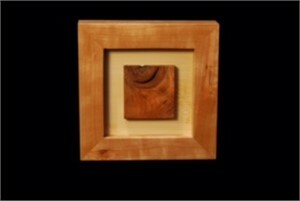 He often finishes his pieced in natural oils and waxes so the original feel of the wood is not lost, but is instead accentuated. 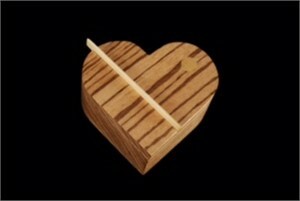 Pisik has received awards in a number of juried exhibits of national artists, accepted commissions including several from Home Depot, collaborated with famed artist Eric Waugh, and is classified as a "Master Woodworker" from the Woodworker's Guild of Georgia.